Are you planning on putting in a new tile, stone, or laminate floor? 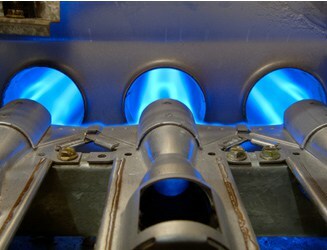 If so, there is no better way to make it cozy and comfortable underfoot than to install a radiant floor heating system. This radiant floor heating system includes fiberglass mesh–backed matting and a thermostat. Of the various types of radiant floor heaters, one of the easiest to install is a fiberglass mesh–backed matting that contains electric-resistance cables. Here we show you the basics for installing this type. (The product shown is TempZone by WarmlyYours.) 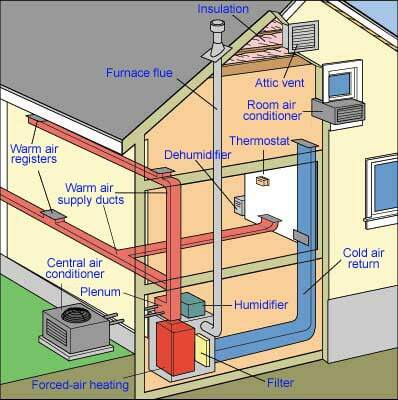 For information about types of radiant floor heating systems, please see How to Buy Radiant Floor Heating. 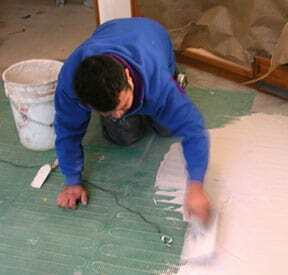 Before ordering, you’ll need to figure out how much material your floor will require. To do this, create a basic layout of your floor area on graph paper, noting basic dimensions, and calculate your material needs according to the size of the mesh. You can omit mesh wherever a warm floor is unnecessary: under cabinets, behind toilet, and so forth. For the system shown, you can simply send a floor plan of the room to the manufacturer; the company will calculate the amount of material needed and send you a layout showing exactly where to cut and position the mesh for the best coverage and easiest installation. Before beginning, discuss electrical requirements with an electrical contractor. 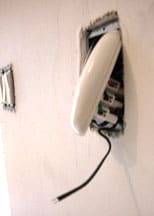 Your system may require a dedicated circuit and will definitely require protection by a ground-fault circuit interrupter (GFCI). You’ll also want the electrician to do the final hook-up (Step 4). Please note: Follow the manufacturer’s instructions implicitly. The steps below are meant to be a general overview of the installation sequence. Cut the mesh but not the radiant heating wires! 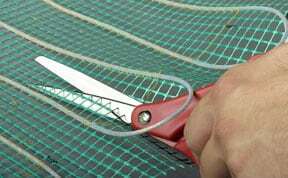 1Use a pair of scissors to cut the mesh backing according to the layout. This creates rectangular panels that can be positioned across the floor and fitted around fixtures and cabinetry. Cut only the mesh—not the cables. 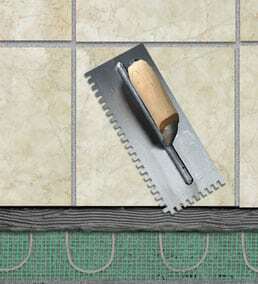 Apply thinset mortar as a base for floor tile. Lay the tile over the top of the webbing. 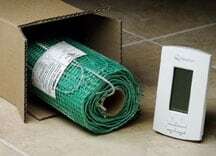 Install the radiant heating system’s thermostat control. 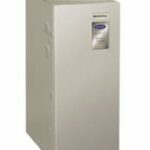 4Have the system wired to a thermostat that’s installed in a standard 2-by-4- or 4-by-4-inch wall box. The rounded plastic piece shown here is a tester used to ensure that the system is working.